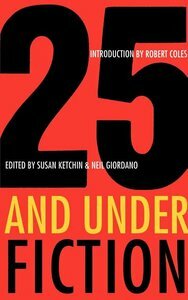 Selected from an extensive nationwide search, this book of fifteen stories by American writers twenty-five years old and younger represents a wide and diverse range of visions, sensibilities, techniques, and themes, providing a vivid glimpse of our world through the eyes of young artists as we approach the twenty-first century. Ranging from quiet vignettes of triumph over daily despair to richly textured narratives of almost epic proportion, the themes explored here are at once contemporary and timeless - the often tangled relationship between parent and child, the lingering legacy of the war in Vietnam, the mysteries of birth, death, sexuality, and marriage, and the sometimes redemptive power of suffering. 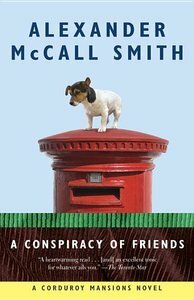 The universe seems to be conspiring against Freddie de la Hay and his neighbors at Corduroy Mansions, as they all struggle with their nearest and dearest in this captivating third installment of Alexander McCall Smith's London series. Berthea Snark is still at work on a scathing biography of her son, Oedipus, the only loathsome Liberal Democrat Member of Parliament; literary agents Rupert Porter and Barbara Ragg are in a showdown for first crack at the Autobiography of a Yeti manuscript; fine arts graduate Caroline Jarvis is exploring the blurry line between friendship and romance; and William French is worrying that his son, Eddie, will never leave home, even with Eddie's new, wealthy girlfriend in the picture. But foremost in everyone's mind is William's faithful dog, Freddie de la Hay, who has disappeared while on a mystery tour of the Suffolk countryside. Will Freddie find his way home, or will Corduroy Mansions be left without its beloved mascot? Margaret Drabble's novels have illuminated the past fifty years, especially the changing lives of women, like no others. 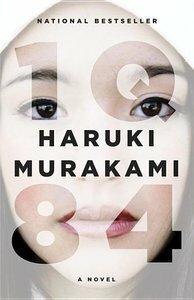 Yet her short fiction has its own unique brilliance. Her penetrating evocations of character and place, her wide-ranging curiosity, her sense of irony--all are on display here, in stories that explore marriage, female friendships, the English tourist abroad, love affairs with houses, peace demonstrations, gin and tonics, cultural TV programs, in stories that are perceptive, sharp, and funny. 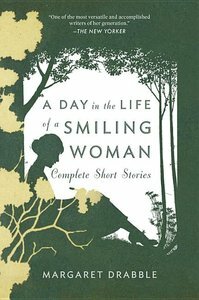 With an introduction by the Spanish academic José Fernández that places the stories in the context of her life and her novels, this collection is a wonderful recapitulation of a masterly career. Come home to Marie Bostwick's poignant novel of new beginnings, old friends, and the rich, varied tapestry of lives fully lived. . .
"Enjoy this big-hearted novel, then pass it along to your best friend." 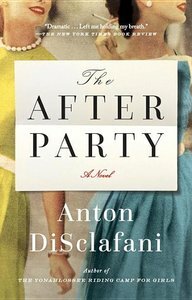 "By the time you finish this book, the women in A Single Thread will feel like your own girlfriends--emotional, funny, creative and deeply caring. It's a story filled with wit and wisdom. Sit back and enjoy this big-hearted novel, and then pass it on to your best friend." In the year 937, the new king of England, a grandson of Alfred the Great, readies himself to go to war in the north. His dream of a united kingdom of all England will stand or fall on one field--on the passage of a single day. At his side is the priest Dunstan of Glastonbury, full of ambition and wit (perhaps enough to damn his soul). His talents will take him from the villages of Wessex to the royal court, to the hills of Rome--from exile to exaltation. Through Dunstan's vision, by his guiding hand, England will either come together as one great country or fall back into anarchy and misrule . . .
From one of our finest historical writers, The Abbott's Tale is an intimate portrait of a priest and performer, a visionary, a traitor and confessor to kings--the man who can change the fate of England. 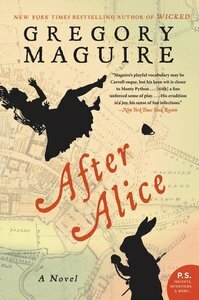 In this brilliant work of fiction, Gregory Maguire turns his dazzling imagination to the question of underworlds, undergrounds, underpinnings--and understandings old and new, offering an inventive spin on Carroll's enduring tale. Ada, a friend of Alice's mentioned briefly in Alice's Adventures in Wonderland, is off to visit her friend, but arrives a moment too late--and tumbles down the rabbit-hole herself. 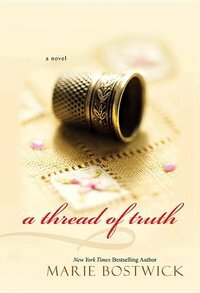 From the bestselling author of The Yonahlossee Riding Camp for Girls comes a story of lifelong female friendship - in all its intimate agony and joy - set within a world of wealth, beauty, and expectation. Joan Fortier is the epitome of Texas glamour and the center of the 1950s Houston social scene. Tall, blonde, beautiful, and strong, she dominates the room and the gossip columns. Every man wants her; every woman wants to be her. Devoted to Joan since childhood, Cece Buchanan is either her chaperone or her partner in crime, depending on whom you ask. 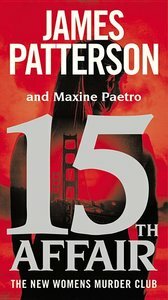 But when Joan's radical behavior escalates the summer they are twenty-five, Cece considers it her responsibility to bring her back to the fold, ultimately forcing one provocative choice to appear the only one there is.